BELIZE CITY, Thurs. May 17, 2018– Yesterday at his press conference, Prime Minister Dean Barrow was reminded that the Belize Chamber of Commerce had written to several government entities requesting information on the renunciation process for Guatemalans who apply to become naturalized Belizeans. PM Barrow responded, “They say that once you are a citizen of Guatemala, then you always remain a citizen of Guatemala, and it doesn’t matter how much you renounce that citizenship; they will continue to regard you as a citizen of Guatemala. PM Barrow added, “So, they described a catch 22 situation to us. In other words, they said, well, if these people can be given Belizean citizenship, then they will not be stateless, and so we could accept their renunciation. Belize put a hold on granting nationality to Guatemalans some six years ago, in 2012, when Senator Godwin Hulse was Minister of Immigration and Nationality and he put the brakes on the naturalization of Guatemalans, because he was not satisfied that the renunciation process was effective. In February 2013, Hon. 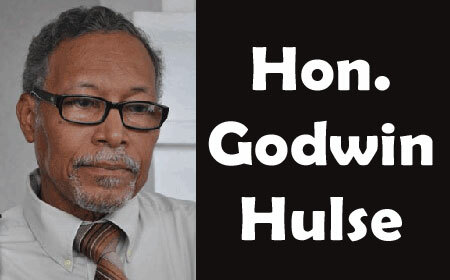 Hulse tackled the issue head on: “Our constitution requires that any person who is a citizen of a country that does not recognize the territorial integrity of Belize cannot be a citizen of Belize. That’s the constitutional position. The substantive law emanating therefrom also requires that persons renounce their citizenship. We have in process, for many years, have forms that citizens of Guatemala sign renouncing their citizenship, and as a result, they are allowed to become citizens of Belize. “We have found that many such persons return to Guatemala and reacquire a Guatemalan passport, etc. And because that has been coming up, we decided to investigate it further, only to find that Guatemala is saying that where their citizens are concerned, renunciation of nationality is not a very easy process. “Our law requires also that if it is found that in any country from which you renounce, and that renunciation is not in accordance with their laws, you are deemed never to have renounced your citizenship. If the Constitution of Belize was strictly adhered to when it comes to granting nationality to citizens from the Republic of Guatemala, only a handful of persons from Guatemala would have become naturalized Belizeans. Successive Belize governments have been violating the Constitution with impunity, however, especially around election times, when Belize’s nationality papers are almost a “free for all” for Guatemalans who want it.